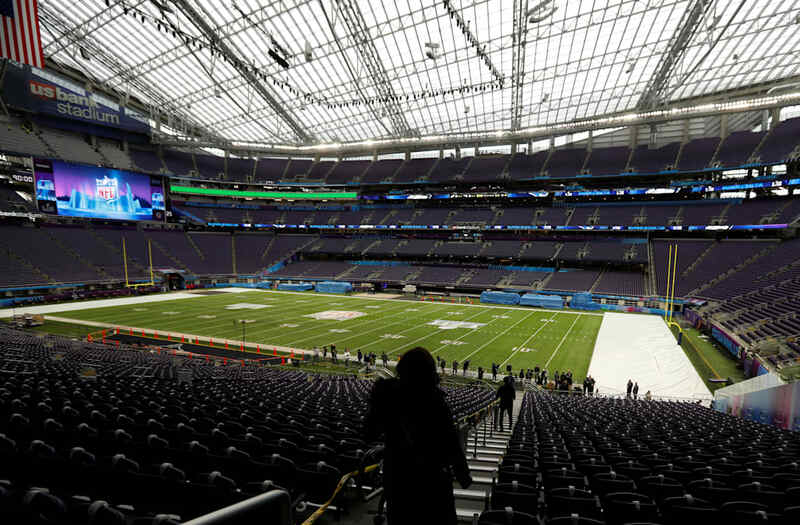 Thousands of football fans are expected in Minneapolis this weekend for Super Bowl LII, but not all of them will get to see the game in person. In order to host the Super Bowl, a stadium must be able to hold at least 70,000 people. U.S. Bank Stadium's capacity is officially listed at 66,665, but is expandable to up to 73,000 spectators. 81,270 fans turned out to watch the San Francisco 49ers defeat the Cincinnati Bengals 26-21 on January 24, 1982. The Seattle Seahawks defeated the Denver Broncos 43-8 in front of a crowd of 82,529 at MetLife Stadium on February 2, 2014. At Stanford Stadium, the San Francisco 49ers beat the Miami Dolphins 38-16 in front of 84,059 people on January 20, 1985. In front of 90,182 fans at Los Angeles Memorial Coliseum, the Miami Dolphins defeated the Washington Redskins 14-7 on January 14, 1973. 98,374 people watched as the Dallas Cowboys defeated the Buffalo Bills 52-17 at the Rose Bowl in Pasadena, California on January 31, 1993. Also at the Rose Bowl, on January 25, 1987, the New York Giants defeated the Denver Broncos 39-20 in front of a crowd of 101,063. At Cowboys Stadium on February 6, 2011, the Green Bay Packers defeated the Pittsburgh Steelers 31-25 in front of 103,219 onlookers. Before 103,438 fans at the Rose Bowl, the Oakland Raiders beat the Minnesota Vikings 32-14 on January 9, 1977. Again at the Rose Bowl, 103,667 fans watched as the Washington Redskins defeated the Miami Dolphins 27-17 on January 30, 1983. The Rose Bowl hosted the two largest Super Bowls of all time, with 103,667 fans turning out on January 20, 1980, to see the Pittsburgh Steelers defeat the Los Angeles Rams 31-19. The smallest Super Bowl audience came at Super Bowl I, which was played before 61,946 people at Los Angeles Memorial Coliseum. If the stadium is filled to capacity on Sunday, Super Bowl LII would have about 5,000 fewer onlookers than the last time the Eagles and Patriots faced off in Super Bowl XXXIX in Jacksonville, Florida.